So here's the other Israel-related pasuk (verse) I like to think of (or that I don't like to think of, but that I sometimes think of in spite of myself and my guilty conscience). It's Numbers 32:6, and it's Moshe's response to the tribes of Reuben and Gad, who have expressed a desire to stay on the eastern side of the Jordan River instead of entering the land. "And Moses said to the sons of Gad and the sons of Reuben: Will your brothers go to war, and you will stay here?" 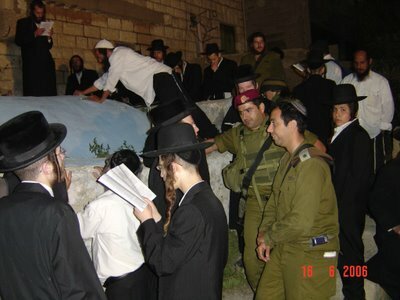 The Jews are getting ready to enter the land. They've just been wandering for 40 years, for the express purpose of getting to this particular land, which has been chosen for them by God. And a group of Jews decides at that moment that the economic opportunities outside the land are better suited to their needs. And so they ask not to go. They ask to live outside the land. And Moshe Rabbeinu responds by asking if they are just going to sit "here" - outside the land - while their brethren go to war, while their own flesh and blood fight in order to live there. Yeah. Like I said. Hmm. So anyhoo, those are two of my favorite - or at least my most frequently thought about - Israel-related pesukim in the Torah. The specialness of the land itself; the nature and the constancy of our interaction with God, and the role the land plays in that relationship; and the collective responsibility of the Jewish people not to sit idly by while their fellow Jews put their lives on the line. So, happy belated Yom HaAtzmaut. The main reason I started blogging was to promote Israel awareness (and if I'm lucky...aliya awareness)...and now close to a year later, I wonder if I've been successful. Have I met my objective? Do readers of this blog feel they have a stronger connection to Israel than they used to? Has aliya been moved up a notch on people's list of priorities? This blog takes up a lot of my time, and I'm greatly appreciative to my wife for supporting it. When she told me to point some people who were thinking about aliya, in the direction of my blog, I knew she understood that I'm trying to push a very serious and worthwhile agenda. Granted, posting about Jewish handshakes, Elvis the drug dealer, and Fleeing Manila are probably not as educational, but I like to think they contibute some additional flavor to the blog. Therefore, I would like to call your attention to a new intiative for the JBlogosphere: JBloggers Stand with Israel. The message is apolitical -- you can stand with Israel because this is the land of the Jews, because of political Zionism, because of Eretz Yisrael, because it's the sole democracy in the Middle East, or even if you just like my blog. Jews pray towards Jerusalem in prayer 3 times a day...shouldn't your blog have just a tiny bit of focus for Israel as well? Now, I'm in a quandry how to end this post. On the one hand, Israel has just started a very serious defensive operation, aimed at stopping Qassam rocket attacks and bringing home safely, Gilad ben Aviva (Shavit)...so it would be a good time to remind people to keep Israel's soldiers in their prayers. On the other hand, I hate using guilt as a means to influence people to think about Israel or aliya, and would much rather this ends on a lighter, positive note. So...end it yourself with whatever works for you. IDF forces recovered the body of Eliyahu Asheri, the 18 year old kidnapped Israeli from Itamar. He was murdered (shot in the head) shortly after his abduction on Sunday evening, and hastily buried near Ramalla by Palestinian terrorists. 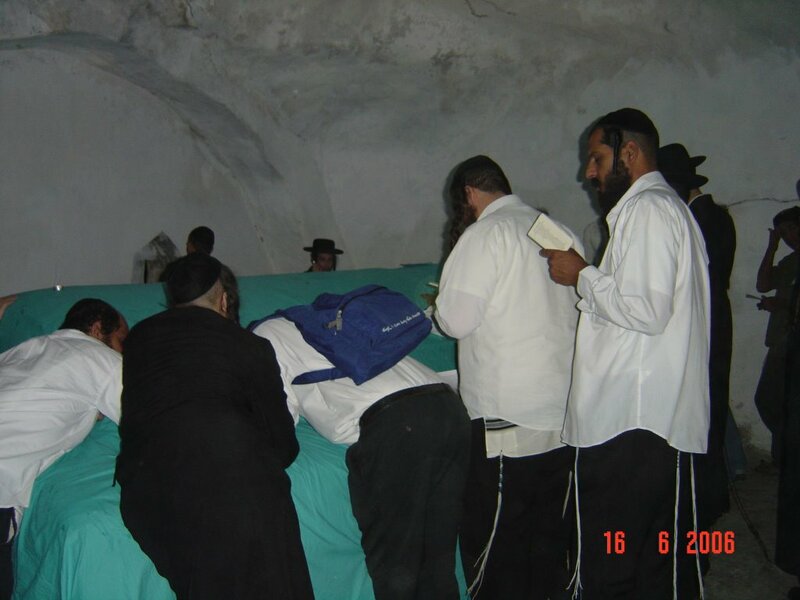 His funeral is scheduled for 2:30 PM today at the Sanhedria "Beit Levayot" -- the procession will continue on to Har HaZeitim, the Mout of Olives for burial. 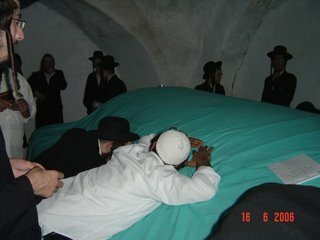 Hashem Yikom Damo. Apparently, it appears the body of 62 year old Noah Moskowitz from Rishon L'Ziyon was found near the Kfar Chabad cemetary. 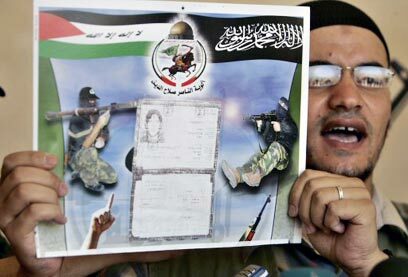 Police are uncertain at this time if terrorism was indeed involved (despite the Fatah taking credit for his abduction). Not much more to say now, except that Israel has arrested overnight over 60 Palestinians -- including Palestinian Authority "lawmakers" and "ministers". The IDF says these are not bargaining chips to negotiate the release of IDF soldier Gilad Shalit, but members of terror organizations. Too bad the Israeli government didn't realize this until now -- could have saved us lots of trouble. Israel's Channel Two News just reported that a THIRD Israeli has been kidnapped by Palestinian Terrorists -- a 62 year old man from Rishon L'Zion, according to a statement released by the Fatah terror group. The IDF is attempting to verify the claim. I was going to just put up these pictures by themselves, but decided to combine them with this newsflash. 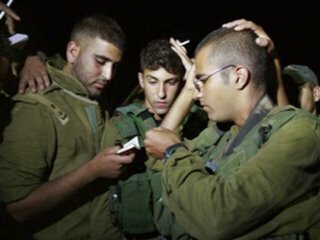 IDF soldiers in prayer prior to entry into Gaza. YNETnews reports: The Popular Resistance Committees organization on Wednesday afternoon presented for the first time a picture of kidnapped settler Eliyahu Asheri's identity card. Asheri, a resident of Itamar, has been missing from his home since the weekend, and his family fears for his life. "We ask them to return him alive to us and call on the public to pray for his wellbeing. He had not done anything wrong and there is no reason why they should do him wrong. We also want to say thank you very much to the security forces, the army and the Shin Bet who have been exerting all efforts. We really trust them and appreciate their work," Miriam Asheri added. One has to wonder if these terrorists and their supporters have completely lost their "tzelem enosh", their membership in the human race. It's sad but noteworthy that Hamas was elected by the Palestinian people in a popular vote election. Where are the Palestinians who condemn this sort of behavior? Why aren't they decrying this inhuman torture? This American Moslem blogger is someone we can talk with. Unfortunatelyly, I don't see any Palestinian bloggers out there decrying these kidnappings. Where is the reciprocal support from moderate Arab bloggers around the world who condemn these actions -- Jewish and Israeli bloggers went to bat for the imprisoned Egyptian blogger, Alla, yet Arab bloggers remain silent during these atrocities? Go ahead and prove me wrong. Driving home tonight from Jerusalem, it was hard to ignore a whole slew of tanks being transported...due South. Gaza Strip Direction. Driving home through the "security wall", the Shomron roads had a very sad look to them. Cars flew past very quickly, anticipating shooting that thank G-d didn't come. The bus shelters are all empty...the hitchikers are gone, or at least waiting for rides within settlements. Everyone is waiting for the inevitable. First was Sunday's attack, and the IDF solider's kidnapping. 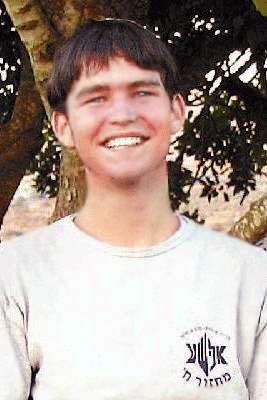 Today news is that a 18 year old from Itamar is also being held hostage. With news reports chasing each other, t.There are 2 other unsubstantiated reports tonight of a kidnapping near Petzael in the Jordan Valley, and another kidnapping between Kedumim and Yitzhar near the Arab village of "Tel." Personally, with zero knowledge of what the IDF has planned, I predict there will be an attempted rescue mission this evening by an IDF elite unit near Rafiach...to release captured IDF soldier Gilad ben Aviva. The odds aren't that great...and I pray for a successful outcome. This is probably one of my stranger posts, but I've been asked to help 2 individuals...and as I've written before, if my blog can help someone out -- then why not use it for the good of mankind? (or at least, the JBlogosphere). A public service brought to you by Muqata JBlogosphere Industries. Last year, an overly zealous clerk in Israel's Ministry of Education had a revelation -- Yeshiva/Stern College acknowledges college credits towards B.A. undergraduate degrees, based on up to a year of Yeshiva/Seminary study in Israel! This finding is obviously, wholly unacceptable to Israel's Ministry of Education, since Yeshiva/Seminary study in Israel cannot possibly be worthy of the term "higher education" according to Israel's educational standards. Despite what any clerk in the Education Ministry may say, Israel's refusal to accept YU's degrees is rooted in the blatant disdain of Yeshivot and Seminaries. This isn't just a matter of a bureaucratic, paper-pushing formality -- but a direct attack at Yeshiva University, the flagship Orthodox Jewish Educational Institution of the United States. Over a year has passed since this issue was promised to be resolved by Limor Livnat (the previous Israeli Minister of Education) yet YU graduates are still refused academic acknowledgement of their degrees. Yeshiva University's President Joel addressed the Knesset's committees on education and immigration yesterday and said that this situation was "inconceivable, and moreover, unacceptable." YU's degrees and college credits are universally accepted around the globe by some of the world's most prominent universities including Harvard and Yale, yet apparently, Israel's Ministry of Education has their own standards which exclude "Jewish education" from "higher academic" education. One would probably have a better chance of transferring credit from the Yichiyeh Ayash School of Engineering at Ramalla Polytechnic, than YU graduates obtaining Israel's approval for their academic degrees. Last night, after Maariv, our minyan said Tehillim for kidnapped IDF soldier Gilad ben Aviva (Shalit), hoping for his safe return. There were prayers said at the Kotel last night for Gilad, and I've received a few emails going around the internet as well. I suggest you take a moment today, either at davening, minyan, or even at your computer to say some tehillim or a tefilla for this soldier. The situation concerning this soldier is very complex -- the IDF wants to immediately go into Gaza, if not for just sending a strong message to the PA that terror will not be tolerated. The political establishment is holding the IDF back (as they have been for the past 10 months from the Disengagement), hoping for a political solution. Frankly, if Israel had responded forcefully after the first Qassam rocket attack after the Disengagement, (as was promised by Sharon) I doubt we would be in this situation to begin with. Fatah (remember them, the "moderates" everyone was very worried after they lost the PA election to Hamas?) 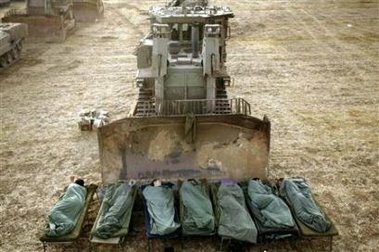 has now threatened that if the IDF starts a serious ground assault in Gaza, they will use chemical and biological weapons against IDF troops. "With the help of Allah, we are pleased to say that we succeeded in developing over 20 different types of biological and chemical weapons, this after a three-year effort," the group said in a leaflet it has distributed. "We say to (Prime Minister Ehud) Olmert and (Defense Minister Amir) Peretz: Your threats of invasion do not frighten us. We will surprise you with new weapons you have not faced until now. As soon as an IDF soldier sets foot on Gazan land, we will respond with a new weapon." The cabinet issued a message following the meeting saying, "Israel sees in the event Sunday morning at Kerem Shalom a most severe incident. The responsibility is on the Palestinians, on Palestinian Prime Minister Ismail Haniyeh, the government and the PA. Israel will take all the necessary steps to return the captured soldier Corporal Gilad Shalit to his home. The cabinet approved the military ranks to carry out the necessary preparations to accomplish this mission." However, if the soldier is successfully returned home (which we all pray for), I doubt the IDF will do much. So many memories came flooding back to me last night; the tehillim we said was the same perek we used to recite daily in Yeshivat Hesder on behalf of IDF soldiers captured in Lebanon. I recalled the awful week 10 years ago when IDF soldier Nachshon Wachsman was kidnapped, and the entire Jewish world held their breathes, lit an extra candle for him on Erev Shabbat, and said tehillim around the world for him. And there was IDF soldier Madhat Youssef who was assigned to defend Kever Yosef, and the IDF decided to rely on the PA for his safe extraction. He died from loss of blood because the politicians didn't send in the IDF. Trying to think of something positive, I recall the July 4rth USA Bicentennial celebration in 1976 when Israel shocked the world (and themselves) with the heroic rescue at Entebbe. There's a drawing of the Entebbe Mission that sums it up for me -- a victorious IDF Airforce Hercules transport plane heading back from Entebbe towards Israel. The plane was full of the rescued Israelis and the exhausted, but proud IDF soldiers. And drawn simply underneath the plane, was a huge hand, helping it along. 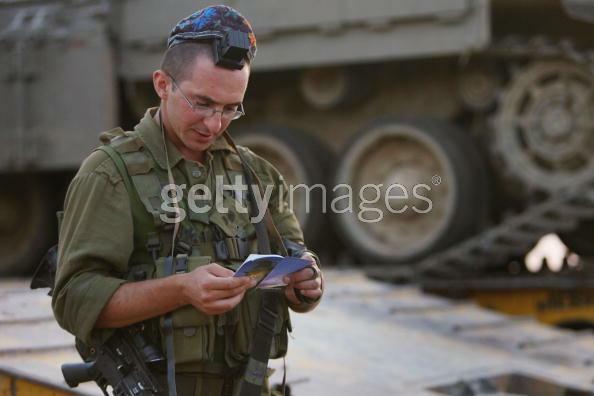 IDF Soldier, Gilad ben Aviva -- we're hoping to see you back home safely, soon. Less than one year from Israel's semi-Disengagement from Gaza, IDF forces are re-entering the southern area of the Gaza Strip in response to this morning's 5 AM Hamas-led attack, which left 2 IDF soldier dead, 1 IDF soldier kidnapped, and 6 IDF soldiers wounded. 1. Semi-Disengagement The Palestinians routinely complain that the IDF did not fully "Disengage" from the Gaza strip, since there's a sea, air and land blockade on the strip by Israel for security purposes. Israel on the other hand, continues to pay the bill for electricity to Gaza (at the Israeli taxpayer's expense), phone service (ditto), on a daily basis allows thousands of Gazan workers into Israel, and allows for transport of goods in and out of the strip from Israel. Doesn't sound very disengaged to me. 2. Hamas-led attack. The PA's government is currently run by Hamas. This attack also included 2 other terror groups, including a never before known group -- one that smells alot like Al-Qaida, "The Army of Islam." In a brief exchange with a left-leaning acquaintance this morning, when I mentioned that it looks like the IDF is re-entering Gaza, the reply I got was "G-d forbid." Actually, one has to honestly evaluate this expression for a second. 1. Since the Disengagement last year, the strip has swelled with more terrorists, guns, ammunition, explosives, rockets, and general terror infrastructure in the history of Gaza. Any IDF soldier going into Gaza is now at a severe tactical disadvantage due to Israel's Disengagement. 2. The Disengagement's proponents claimed that if terror continued, Israel would be free to attack Gaza. Since the disengagement isn't complete, we do not have any real moral highground with the rest of world, or even among Israel itself. When Yair Lapid and others beat ourselves up over IDF shelling of Gaza and Palestinian casualties which aren't even Israel's fault -- one has to wonder what the real point of the Disengagement was to being with. Security was obviously never at the top of the list (if on the list at all)...just ask the residents of Sederot or the mother of today's kidnapped IDF soldier. 3. So what do we do now? Israel's Defense Minister, Amir Peretz did not want Israel to severely escalate operations last week. 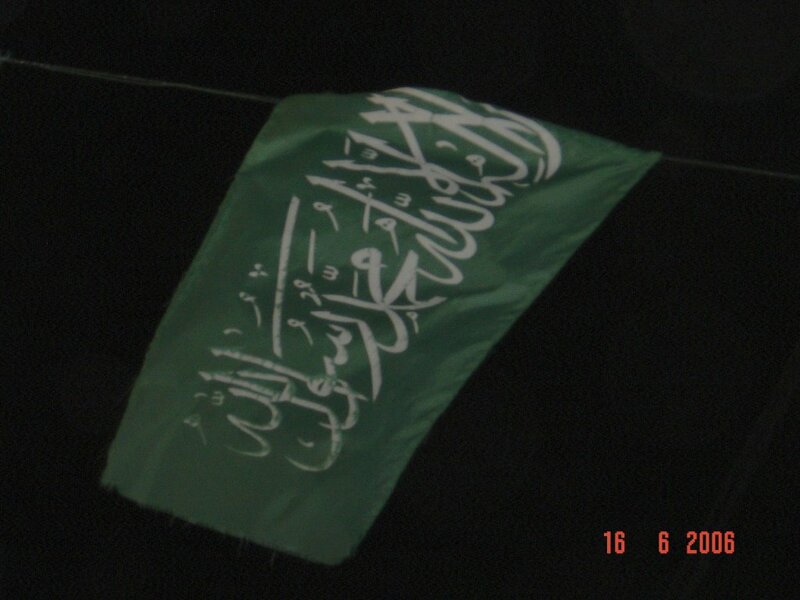 In return, the Hamas-led PA government is increasing in quantity and quality of the attacks against us. Israelis say "G-d forbid" at the idea of going into Gaza. We've already pulled out and have no more Jews to evict from the Strip. Removing the blockade will obviously lead to an increase of weapons going in... IDF's command central thinks that a large assault is needed. However: with the continued rocket shelling of Sederot and the Negev, targeted attacks against the Kibbutz Kerem Shalom's IDF outpost, kidnapping of IDF soldiers, attempted kidnapped of Israeli civilians, attempted bombings on the road to Gush Etzion and Neve Daniel this past Friday, and elevated terror attacks around the country -- one needs to wonder why at this time the Defense Ministry is so gung-ho to go after unauthorized settlement hilltop outposts and restricting the movement of 13 Jews (one step away from administrative detention). Amir Peretz, PLEASE get your priorities in order. David Bogner has written some excellent posts recently about the importance of not judging others. This past shabbat, we were short 2 for a minyan, and asked 2 secular teenagers complete with body piercings (all in the head zone) if they could help us complete the necessary 10 adult quorum needed for our minyan. They enthusiastically helped us out -- in fact, they were thrilled to participate. A reader sent me this video clip, and its a perfect example of why we shouldn't judge others based on externals. 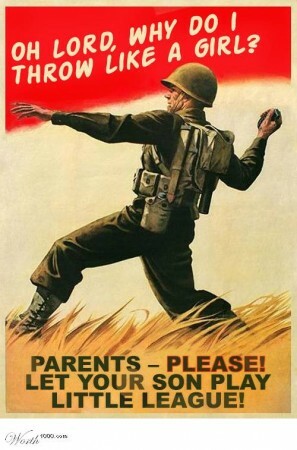 It should be an important message to us all. Travel Advisory: Long post, lots of pictures, but definitely worth it! 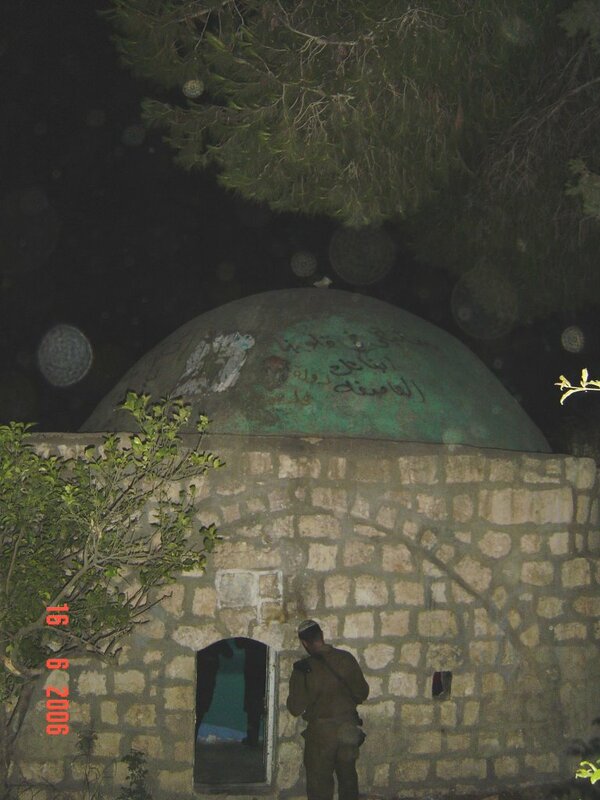 Jameel in front of Kever "Nun" -- the father of Yehoshua bin Nun. "Good Evening. 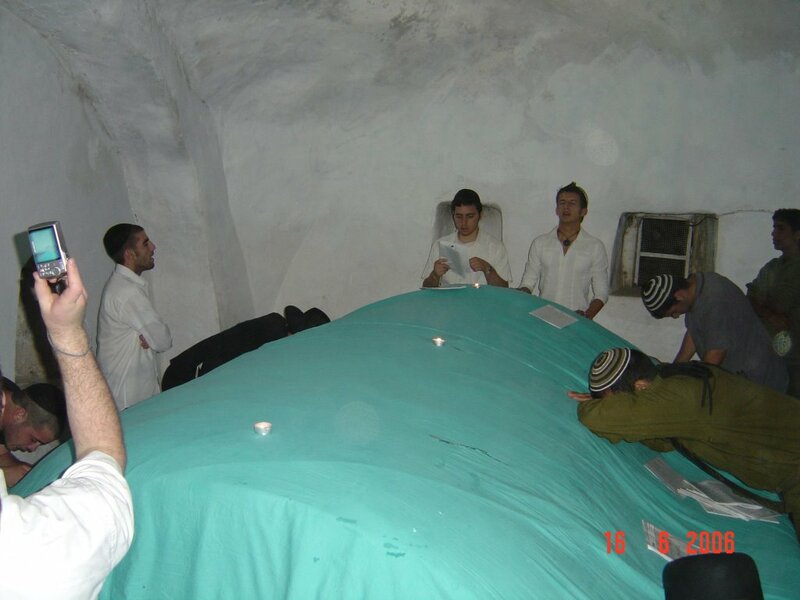 Tonight there will be special access to kivrei tzaddikim in Chares between the hours of 00:00 and 04:00"
"Good Evening. 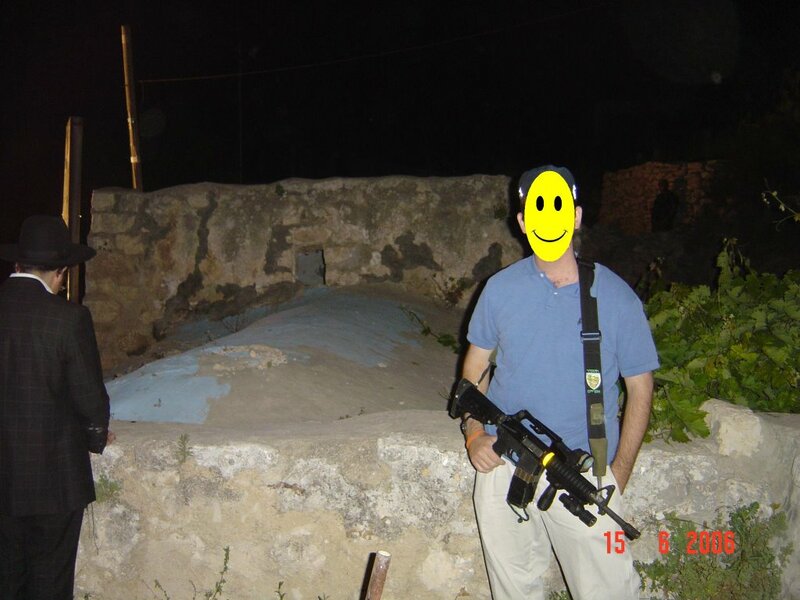 Tonight is one of those rare occasions when the IDF will be allowing access to the Arab village "Kifal Chares" -- so that people can visit/daven at the graves of Yehoshua bin Nun, Calev ben Yifuneh, and Nun (the father of Yehoshua, but we don't know what Nun's father's name was). Park your car in Ariel and walk 15 minutes into the village. We only sent out this beeper message at the last minute to prevent terrorists from knowing exactly when we were planning this incursion. From midnight to 4 AM only, to keep the interaction between Jews and Palestinians to a minimum. See you there! Love, IDF Operations"
This is definitely not something that happens every day -- in fact, it's open maybe 3-4 times a year. 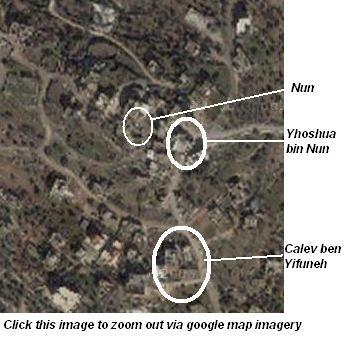 In honor of the week's parashat hashavua, "Shlach", where Yehoshua and Calev are prominently featured, it's customary that during this week (if possible), the IDF coordinates access to the village. The Land is very, very good [Numbers 14:7]," the two Jewish heroes reported back to the Jewish nation, which had been waiting for the report of the twelve spies sent to scout out the fortifications and specifications of the local inhabitants' defenses. "You should not fear the people of the land, for they are our bread," declared Calev. Where is this place anyway? Let's have google maps give us a bird's eye view. Fine, you can't see much from this satellite image, but it's still totally cool to click on this and zoom out. The concept is awesome! I'm sure some of you must be thinking, "Yeah, right. 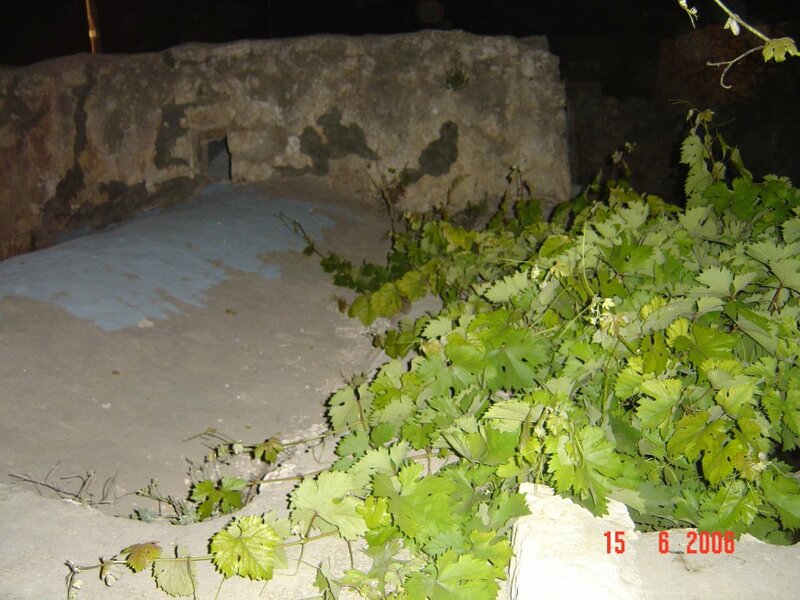 This couldn't possibly be the grave of Yehoshua." Let's take a closer look at this village. Note: this is an excellent educational opportunity to print this out and share it over shabbat with your friends in Chutz La'aretz...since for you Parashat Shlach is read this week. ח וַיָּמָת יְהוֹשֻׁעַ בִּן-נוּן, עֶבֶד ה' בֶּן-מֵאָה וָעֶשֶׂר שָׁנִים. ט וַיִּקְבְּרוּ אוֹתוֹ בִּגְבוּל נַחֲלָתוֹ, בְּתִמְנַת-חֶרֶס בְּהַר אֶפְרָיִם, מִצְּפוֹן, לְהַר-גָּעַשׁ. ה וַיְהִי גְּבוּל בְּנֵי-אֶפְרַיִם, לְמִשְׁפְּחֹתָם; וַיְהִי גְּבוּל נַחֲלָתָם, מִזְרָחָה, עַטְרוֹת אַדָּר, עַד-בֵּית חוֹרֹן עֶלְיוֹן. ו וְיָצָא הַגְּבוּל הַיָּמָּה, הַמִּכְמְתָת מִצָּפוֹן, וְנָסַב הַגְּבוּל מִזְרָחָה, תַּאֲנַת שִׁלֹה; וְעָבַר אוֹתוֹ, מִמִּזְרַח יָנוֹחָה. ז וְיָרַד מִיָּנוֹחָה, עֲטָרוֹת וְנַעֲרָתָה; וּפָגַע, בִּירִיחוֹ, וְיָצָא, הַיַּרְדֵּן. Nachal (Wadi) Kana is a known landmark, the village Timnat Chares is very similar to the Arabic name of Kifel Chares, and the Arabs themselves have the mesora that these 3 graves are those of Yehoshua, Calev and Nun. I call up our local security officer and ask him where exactly we park our cars for this excursion and he said he'd call me back in a few minutes. I go off to shiur, and then get a message from the IDF: We want you to come with your yishuv's 4x4 security vehicle and bring the emergency (generator-based) lighting system. 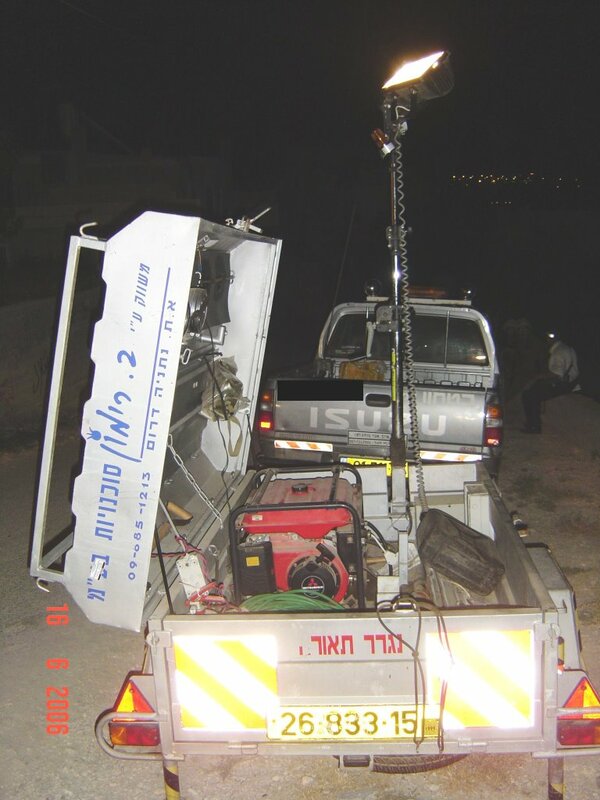 Other yishuvim are sending their lighting system and we want to borrow yours as well. If they ask, and I'm going anyway, it's fine with me. The good news is that I get to drive right into the village and don't have to park far away/wait/walk/etc. The security vehicle we drove with emergency lighting u-haul. I informed a friend from the yishuv about this opportunity and he jumps at it. We leave at 11:30 PM, and drive through the winding, dark mountain roads of the Shomron. Arriving at 12:15 at the entrance to the village of Kifel Chares, the IDF sentry radios ahead that we've arrived. A high ranking officer runs over and can't stop thanking us for bringing the emergency lighting...(when it was really our pleasure all along.) Giving us the VIP treatment (or actually giving homage to the emergency lighting vehicle U-Haul connected to our 4x4), we are escorted by a jeep in front of us and behind, to lead us through the village. Our emergency strobe lights are flashing yellow around and round giving the landscape a very eerie look. What a friendly place this is! 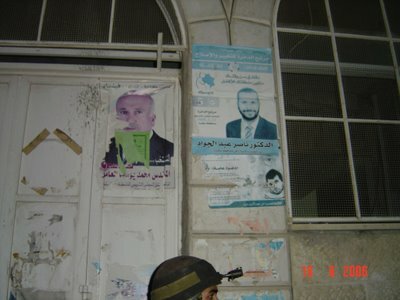 Green Hamas flags are flying everywhere and posters from the recent PA elections adorn almost every building. I will admit, this was very surrealistic -- something out of a scene from a movie, as we snake through the narrow streets of the village. Every 20 feet is another solider or two standing alert...and the walls are covered in Arabic graffiti. 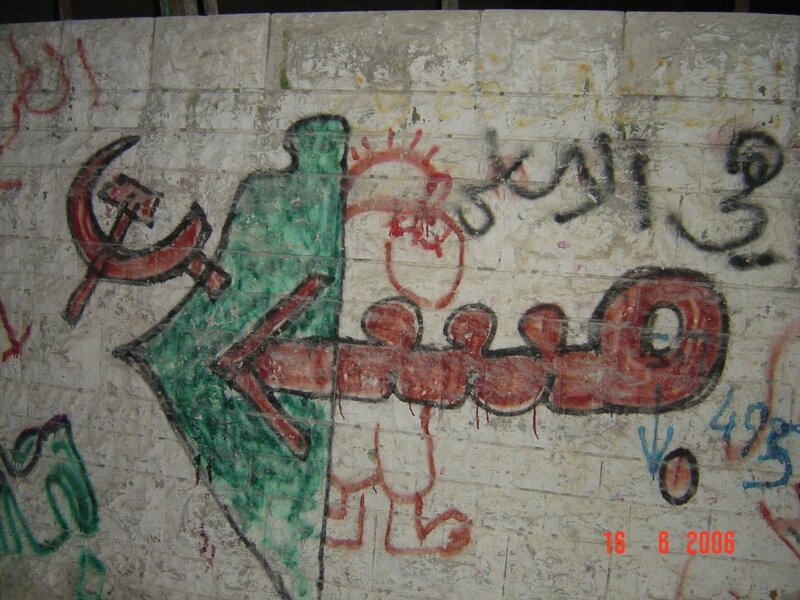 Popular Front for the Liberation of Palestine (PFLP), the terrorist group responsible for the murder of Tourism Minister Rechavam Ze'evi. 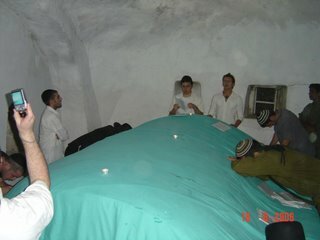 Finally, we park our 4x4 across from Kever Nun, set up the emegency lighting, and take some pictures. The edge of the Kever is covered with grape vines, and someone comes up to me and says I should take some, since it's a segula for children. I politely declined...but thanked him in any event, since he was just tring to be helpful. I recited tehillim there for about 15 minutes -- mentioning the names of different individuals who need help from above to overcome different illnesses, names of those who wanted shidduchim (can't hurt, can it?) and for the general welfare of the Jewish people, specifically those of us living in Yehuda, Shomron and Israel. Chareidim/Chassidim who came on 3 bulletproofed buses from Jerusalem (this was the majority of the people there). Modern Religious and blend-into-society-settler types (less than 20 of those). We started walking to Kever Yehoshua bin Nun through the dark streets, illuminated by green stick-lights every 20 feet. Some soldiers were standing on the street, others atop strategic positions overlooking the street. A group of kids came up behind me singing very loudly and I yelled at them to shut up. I told them it's the middle of the night and people are sleeping...and if that didn't appeal to them, they should know that if they cause problems the IDF won't let anyone visit here for a long time. They lowered their noise a bit and decided I must be police/shabak or something, because of my civilian clothes and counter-terror M16. We arrived at Kever Yehoshua, and repeated the same as we did by the grave of his father. 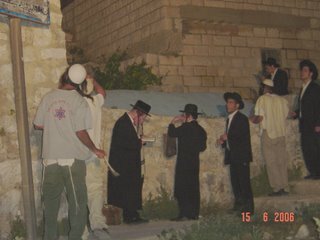 And then on to Kever Calev ben Yefuneh...we were doing alot of walking! And the time was flying by. I couldn't believe how fast the time passed. It was already 2:30 PM. 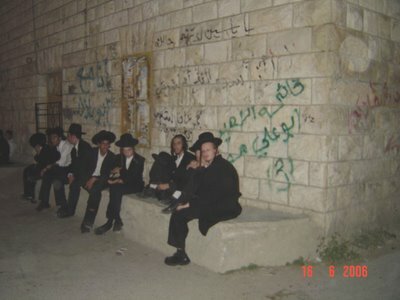 Kids sitting along the square outside of Kever Yehoshua. They wanted to know why I was taking their picture. I assured them I wasn't police/shabak. 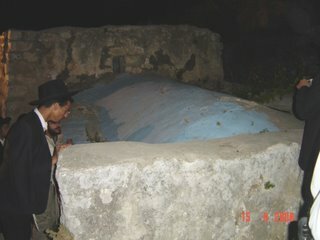 The entrance to Kever Calev ben Yefuneh. 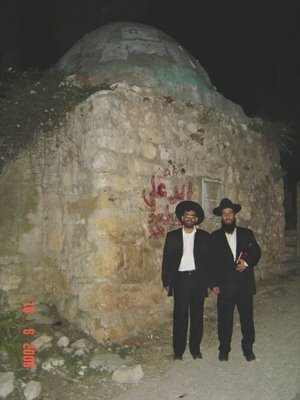 Scouting around the building, we entered the building which houses the Kever. Kever Calev ben Yefuneh was definitely the most impressive of all 3 graves we visited. There was a green cloth cover over the matzeva, which reminded me of the one from Kever Yosef where I had been privileged to visit just 3 days before the current Intifada war broke out 5 years ago. Spent a while here as well. It was close to 3:00 AM, so we decided to start walking back to the Kever of Nun (that's where our 4x4 was). Took a picture of this sign...which declared that a Palestinian Authority infrastructure project was underway, funded by the Belgian government. Unfortunately for the residents of this village, all I saw was the sign...and no indication of any projects going on anywhere. 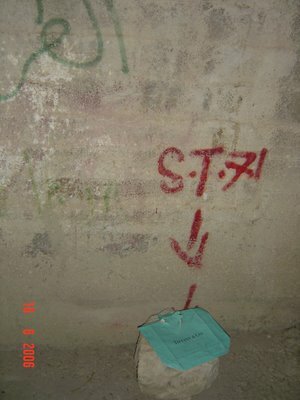 Continuing down the dark street, we found a bag on the floor near a house. Surprise -- it was from Tiffany's! I didn't realize that in the midst of this rather tired and bombed out looking village, there was a Tiffany's branch. Five Towns and Teaneck Residents -- make sure you stop here on your next trip to Israel! Senior officers praying with Visitors. It was now 3:30...and we were supposed to start packing up to head home. I looked around and took one last picture -- a sabras tree. 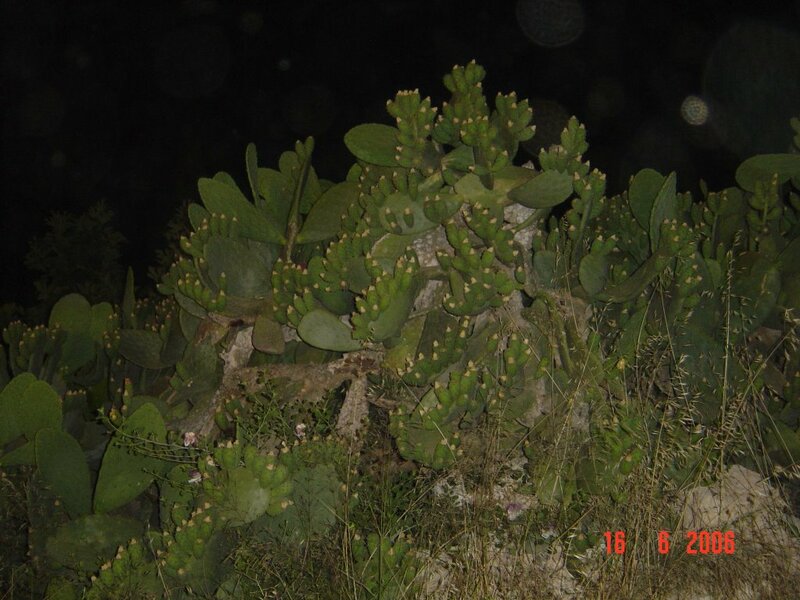 In the middle of this village, alongside the grave of Nun, was a huge tree, heavily laden with the sabra prickly fruit. I arrived home close to 4:30 AM, exhausted, but elated that I was privileged to daven at the burial site of these historic individuals. It's events like this that remind me how privledged I am to live in Israel, despite the occasional difficulties. Experiencing the historic connection to the land of Israel on such a physical level of being able to actually visit these places, is one of the most profound Biblical realizations of our return home as a people, to our homeland. What's in a (Jewish) Handshake? I've been meaning to post this for a while, and Mirty's posting was the final push to write it. However, she stopped blogging for the summer, and took down all her links so I can't even link to her post about it. Instead, here's a link to AskShifra's posting on not being judgmental. You'll need it before reading this post. My kids and I have discussed the idea of the handshake and how important it is to provide a firm, solid handshake. 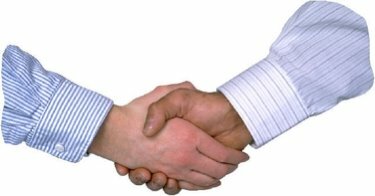 It broadcasts self-confidence, assurance, and confidence -- and a good handshake leaves the recipient with a sense of security and a positive image of you. When shul is over on Friday night, I routinely experience a wide range of handshakes -- and some of them are downright pathetic. The worst of all...is the yeshivish "dead fish" handshake. 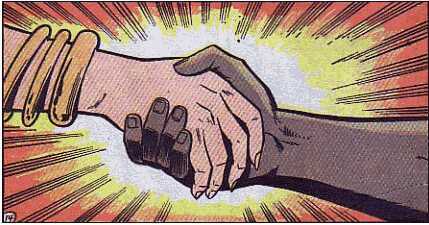 You extend your hand to give a good, firm shake of the hand, and their hand is limp. This is the worst possible handshake to receive. I don't know if this dead fish handshake is intended for people "less frum" than the dead fish handshake provider...but the impression you get as a recipient of this handshake is one of revulsion. Like, What did I do to deserve this? If someone could PLEASE explain the rationale behind this, I would greatly appreciate it. (And you all know exactly what I'm talking about). These people need the Handshaking for Dummies Frummies Handbook. We have a certain friend in our yishuv who carries enough ammunition on him to take on a small army. In addition to his wicked looking M16, Glock, survival knife, walkie-talkie, beeper, cellphone, 30-bullet magazines for his Glock pistol -- this guy is built like a truck. There's only one word for his handshake: The Bone Crusher. He always smiles and makes eye contact when he gives you the handshake...but it's always just a tad too painful...as you hear the crunch of the small bones in your hand when he gives you the grip of death. He should leave the weaponry at home, his bare hands are more than enough. The "never-let-me-go" handshakers definitely have their issues. Their grip is usually decent, and has lots of potential. You usually notice about a second too late that their hand may be a bit clammy...but it's already too late. They keep shaking your hand, pumping it up and down, and DON'T. LET. GO. Three to four seconds is plenty of time...yet they don't get the hint and just keep on going. Think "Energizer-Bunny." It ends up feeling like an eternity and you just wish their hand would fall off so you can run away. These people usually don't know how to tell a joke, overstay their welcome, and have a poor sense of timing (perhaps saying inappropriate statements at the wrong time). And then...there's the whole issue surrounding shaking hands with women. In my business environment I have to shake hands with women all the time, though it's not something I grew up with. A Yeshiva Background and being Shomer Negiya make it difficult to make the transition from no contact at all, to shaking hands in the business environment. 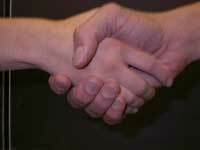 Usually women have 2 types of handshakes -- a decent grip, which is fine. The other is a spin-off from the dead-fish, but can be written-off as a girly-girl excuse of a handshake. It's sort of like girls who don't know how to throw a baseball. Some know how to just fine...and some just "throw like a girl." Of course, there's also the super-secret-Muqata handshake, but we can't discuss that here on this blog. Somethings are just best kept...secret. A study found that handshakes are a greater source of germs than: week-old coffee mugs, public laundromats, bottoms of a shoe, money, urine on a toilet seat, sweaty gym benches, hotel bed linens, dogs, poorly washed restaurant tables, communion chalices, public food groped by others (such as pretzels), public swimming pools, fish tanks, convience store coffee areas, public pay phones, public restrooms, kitchen sponges, public bathroom urinal handles and faucets and doorknobs, home-canned food, water fountains, and public baby-changing stations. Kadima and Conservative Judasim Alliance. Irksome? Joining forces, the Kadmia Israeli political party and the Conservative (masorti) Movement signed an argeement merging together as joint faction in the World Zionist Congress. Olmert signed an agreement in the Knesset on Tuesday creating the United Faction, a coalition in the WZO that includes Kadima, the Conservatives, Hano'ar Hatzioni and the Gil Pensioners Party. It has long been considered normal for like-minded movements to join forces in the WZO. For instance, Labor had been aligned with ARZA, the American Reform Zionist movement. At first, this bothered me, but then recalled that Labor was aligned with the Reform movement, so this wasn't really anything new. I guess NRP/Mafdal's alignment with the right-wing National-Union party could be the same religious/political party alignment paradigm. "The Conservative Movement exemplifies what Maimonides praised as the 'Golden Way,' the middle route of tradition that distances itself from the extremes and advances a vision of unity through tradition, faith and Jewish culture,"
Shas is apparently very irked by Olmert's relationship with the Conservative movement, so I guess they had higher expectations from Olmert to begin with. Let Olmert align with whoever he wants -- the question is, as the Prime Minister of Israel, is he working to divide the people or unite them? One thing about us settlers is our determination. We won't give up on what is ours, whether that be a wayward blogger like Jameel, or unclaimed blogspace like this post at the Muqata. Tear down our posts. Tomorrow we'll build it again. It's with this determination that Jews have survived through the millenia and how we'll survive this Saison at the Muqata. These are questions that G-d forbid, no one should ever have to ask. Unfortunately, (or perhaps, it is an amazing testament to Judaism), during the Holocaust people did ask these questions from halachik authorities. Is it right to give a German soldier a gold watch in exchange to killing someone's father without torturing him? Is resorting to cannibalism allowed during famine in the ghetto? These are only two examples of dilemmas raised by Jews during the Holocaust and collected in more than 150 books throughout the years. A CD containing the dilemmas was revealed for the first time Tuesday. It was produced by the Claims Conference (an organization representing global Jewry on issues of reparations against Germany and Austria) in association with Bar-Ilan University and the Netivei Halacha institute. The whole article is here on YNETnews. Today, when some people's emuna/faith maybe challenged by questions of Torah vs. science (but it's really not something worth losing sleep over) -- all of that falls to the wayside when reading about the faith of Jews under unthinkably difficult situations during the Holocaust. Their commitment to Judaism -- the desire to find the most moral answers to their questions using Judaism as a moral compass should serve as an inspiration to us all. And may these questions never have to be asked again. Nobel Prize Winner to Sederot: Crybabies! Shimon Peres never ceases to amaze me. he lets loose with a new statement that embarrasses me to live in the same country as him. The city of Sederot is under fire. Daily barrages of missiles aimed at civilians. Downed power lines. And what does Shimon Peres have to offer the residents of Sederot? I guess only someone as heartless as Peres, who could say such a thing to the residents of Sederot is capable of helping plan and execute Olmert's upcoming "Convergence". Once again the adage from the Talmud rings strong: One who is merciful to the cruel ends up being cruel to the merciful. The Multilingual JBlogosphere welcomes Spanish J-Blogs! Shalom y Bienvenidos a la Seccion en Español de la JBlogsphere (Blogesfera Judia). Ademas de toda la maravilla de los JBlogs en ingles, existe todo un interesante universo de JBlogs en español sobre importantes e interesantes temas que van desde politica en Israel hsta Judaismo y Noticias Judias. Algunos de llos tambien son bilingues. Como un servicio para aquellos JBloggers que leen esapñol, adjunto una lista preliminar de JBlogs en español. Sientense libres de conctactarme para actualizar/modificar la lista, y le doy una calida bienvenida y agradezco a El Rejunte.il por avisarme de este asunto importante. As a service to Spanish Reading JBloggers, enclosed is a preliminary list. Please feel free to contact me to update/modify the list, and a warm welcome and thanks to El Rejunte.il for bringing this important issue to my attention. JoeSettler has 3 hours to remove his illegal "outpost" or face forcible eviction from my blog. 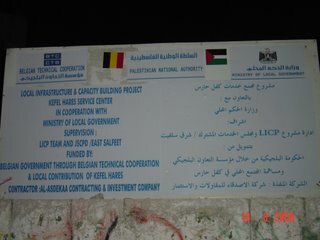 Last night, JoeSettler illegally erected an embedded "mondial" outposting on The Muqata (see below). Be advised, he has till 13:00 Israel time to remove it, or he will be forcibly evicted from this blog, his outpost destroyed, and it's going to get very messy. The High Court of the JBlogosphere has ruled 8-1 that he will not get any reparations, no alternative place to host his outpost, and no link benefits whatsoever. What was he thinking when he illegally set it up? And it's totally irrelevant that I invited him to guest post a while back, or that I set up the first posts for him. This blog will not be held hostage to a radical, messianic minority. When I first commented in a post here regarding Jameel’s open-arms policy of talking to bloggers of all ideologies I warned that dialogue went both ways and he would be influenced by others as much as he might influence them. Who knew how quickly those words would turn out to be true. Jameel has threatened to use all means and force at his disposal to shut down my embedded illegal (out)post on the Mondial - instead of deploying those resources to more pressing issues attacking the Jblog(o)sphere. I know Jameel and I know how far he is prepared to go and how much violence he is primed and waiting to use now that he has been compromised turned become more open-minded. So we’ve been forced to remove the illegal (out)post that was here (initially built with permission and approval on unclaimed blogspace) and detach from his pagehits and reader pipeline we plugged into. We were lucky that we managed to bring most of our assets back to resettle in our secure and established blog before his first red deadline. So I had meant to blog about this a few weeks back, but as John Lennon said in his song Beautiful Boy, "Life is what happens to us while we're busy making other plans"... Then I noticed that Jameel posted about the phenomenon about Soccer --er, I mean Football -- and the World Cup. And here I am sitting in London's Heathrow airport because I missed my connection. So as I wait for my next flight... and as I try to ignore the masses of english folk huddled around the "telly" watching some arcane world cup game (I'm sure Kasamba would sympathize), I realized that I have a story to tell. I think that the story fits perfectly on Jameel's stage, as you'll soon see. So several weeks ago, I was in Chicago speaking at a conference. There were about 450 people in the room, and after my presentation, as is normal at these kinds of events, several people approached me with comments and questions. After helping several people, a man approached me and said "MUST, first of all, I want to say "shalom". I smiled and responded in kind. Then he dropped the bombshell -- "I also want to tell you that I'm palestinian". Before I could even respond, a woman behind me dove behind a table. But the man had a few legitimate questions to ask, which I answered calmly. Then the man asked if I'd ever been to Israel. Now it was getting interesting -- a crowd was beginning to form around us. We discussed the state of Israel today, and although the man currently lives in the US, he made his case for his dream for peace in the Middle East (as if I actually somehow had control over that). After several minutes, he told me how impressed he was with my presentation and that he was honored to meet me and talk with me. As he turned to walk away, he exclaimed "PRAY FOR PEACE!"... It was the first time any had said that to me after a presentation. I'm not sure what the message of the story is, but one thing is for sure. We work and do the things we do every day, and we think that's what we're spending our time on during each day, but it's just the reverse. Our jobs are just a way to get us in front of more people in the world and to demonstrate who we really are. Soccer-crazed Country Grinds to a Halt. Fine, so 2 billion people like the World Cup. Reading this posting at ExSemgirl's blog makes me wonder how the stock market in England can come to a grinding halt because of a football match? On the bright side, I hope there's less anti-semitism there as a result of their once-every-four-year wonderful expression of national harmony and brotherhood. Should Jews get overly caught up in their national sport? Or their nationality? The war fought by England in the Falkland Islands has almost been forgotten. However, in this war as in others in the past, the participants included Jews, on both sides. The following happened close to Tu B'Shevat, in the winter, when there is not much plant growth, but on the other hand some trees are filled with glorious blossoms. A company of British soldiers was sent to clean out an area that had already been captured from the Argentine fighters. The soldiers were ordered to conduct a careful search to make sure that nobody was hiding in the bushes or the trees. They spread out in the area, with a constant distance separating them. They went in straight lines, completely covering the area in a well defined grid. They walked with guns at the ready, bullets in the chambers, and fingers on the trigger, ready to fire. Suddenly, one of the British men saw an Argentinean soldier hiding in a bush. He pointed his rifle at the man, but at the very last moment before firing he heard him start to recite the words, "Shema Yisrael..." The Argentinean was a Jewish soldier by the name of Rami. When he saw death staring him in the face, he instinctively began to recite the Shema. The British soldier, who was also Jewish, stopped his finger a hairsbreadth before firing the gun. In Hebrew, he said, "Baruch shem kevod malchuto..." - may His holy name of authority be blessed forever - and he continued on his way, without saying anything to the other soldiers. And Rami, completely unnerved by the miracle that he had experienced, took an immediate oath to move to Israel and to strengthen his bond to Judaism. He will soon finish his studies as a rabbi. I guess it's OK to root for England or one's country of birth even if it isn't Israel -- just as long as, at the end of the day, we realize where our interests really lie. 2005 - present: Uglyest Shoes on Earth: "CROCS"
I have no clue if Crocs are sweeping the rest of the world like they are in Israel, but they are appearing everywhere. I was just at a meeting at work and the guy next to me was wearing lime green ones. On Shabbat, someone came to shul wearing white crocs. Personally, I think they're the ugliest footware on the planet, but I'm told they're very comfortable. 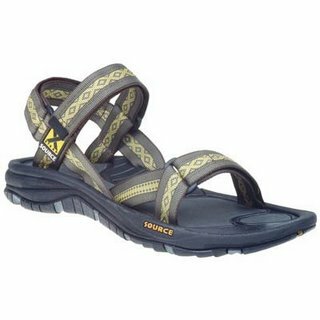 In Israel, they sell for close to 250 NIS ($56) -- isn't that a bit expensive for such silly looking shoes? Then again, if you wear them to work during the week and to shul on shabbat it could be a decent investment. 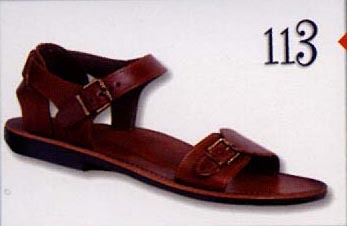 Do people wear these to shul in the US? On Shabbat? To Work? Can you do carpool with these, or is that a major faux pas? What Drives a Jewish Politician? Although the Jews within the land [J@TM: Israel] and the ones in the diaspora won't currently be on the same lectionary cycle, the diasporean ones get to benefit due to having read blogs and other Torah sites with parsha stuff a whole week ahead of time. Therefore, I offer an interesting thought on Parashat "Shlach" -- what we read yesterday in Israel and what those of you in the Diaspora will be reading this coming shabbat. Parashat Shlach starts with G-d commanding Moshe Rabbeinu to send 12 people to tour the land of Israel. And who were these people? They were the leaders of Israel -- each tribe sent a leader, a "Nasi." These leaders all saw the miracles of leaving Egypt and the revelation of G-d at Har Sinai when the Torah was given. They saw the daily miracles of the man/manna which fell daily from the sky to feed the people, the cloud pillar which lead the Jews through the desert, the traveling well, and many others. So how could it be that they returned with such a negative report on the land of Israel? If G-d commanded them to go, how is it that 10 gave a negative and scary report, while 2 others (Yehoshua and Calev) gave such a diametrically opposed (and positively glowing) report on the land? Not content to simply announce their report before the people (imagine a press conference setting), the midrash states that these leaders then went tent to tent to personally convince the people what a bad idea it would be to cross the Jordan and enter the land of Israel. The Zohar gives us a frightening answer in human nature as to what drove these leaders to reach such a conculsion. ( זהר, שלח, קנח ע"א, וראה בשפת אמת, שלח, תרל"ט, שמבאר שעיקר החשש של המרגלים היה שיאבדו את מדרגתם, כהסבר המובא להלן. 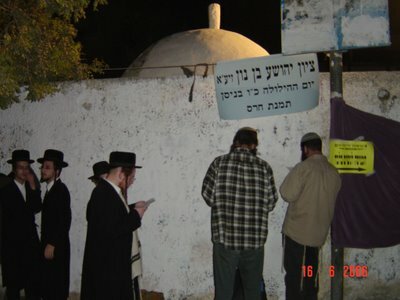 ראה גם: מסילת ישרים, פרק יא, עמ' קכ"ב ( אורות חיים, ירושלים תשמ"ח). What would have happened had all 12 people given a positive report? 1. The Jews would have gone directly into the land of Israel. a. They wouldn't have wandered in the desert an additional 38 years. b. An entire generation would not have died in the desert. c. According to the midrash, none of the major tragedies would befall the Jewish people on the 9th of Av -- destruction of the Jewish Temples, and more. 3. The immediate anointing of a king. It was item #3 that worried these leaders the most. If a king would be anointed, then these leaders would no longer be leaders of the Jewish people. Their personal leadership status would disappear, and in today's language -- they would be out of a job. Astoundingly (or not) , these 10 leaders of the Jewish people sacrificed the future of the Jewish people for thousands of years to come, indirectly causing the destruction of both Temples and countless deaths of Jews -- all to support their own personal agenda of continuing to lead the Jewish people for the next 38 years in the desert. All to keep their jobs. Obviously, this isn't an indictment of ALL Jewish leaders, and there are many who selflessly work on behalf of the Klal, sacrificing much of their own freedom and family time for the sake of the betterment of the Jewish people. Unfortunately, in the time of the spies, it was only 16% (2 out of 12) that knew how to do the right thing. How many of today's Jewish leadership honestly serve the Jewish people selflessly, with 100% of their dedication for the good of the Jewish people and Israel? What drives Israel's Knesset Members, Government Ministers and Prime Minister? When story after story of corruption, or alleged corruption emerge, one could think that their paradigm for leadership are the 10 spies instead of Yehoshua and Calev. When we read about the RCA and Israeli rabbinate jockeying for the pole position -- is it really a "machloket lisheim shamayim?" When the OU leadership writes an open Op-Ed piece to Prime Mister Ehud Olmert in the Haaretz newspaper (Big hat-tip to JoeSettler who discusses this entire issue here) -- is that really about what is best for Israel as a whole? There's not one mention of the Gush Katif displaced families -- how most of them do not have real housing, welfare or employment solutions. While a minority within the U.S. Jewish population, the Orthodox are unsurpassed as those closest to and most supportive of Israel. We travel to Israel more frequently than our less observant brethren; our children study in and emigrate to Israel in higher percentages; in participatory terms, we contribute more broadly to Israel-related charities and institutions; and we consistently poll as those most highly affiliated with Israel. We also identify closely with the settler community. 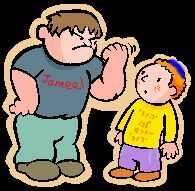 Then they demand that Olmert discuss the issues with the OU to gain their support. I would like to think that the Israeli Rabbinate, RCA and OU are among the 12% that are exclusively thinking about the good of the Jewish people. Back then in the desert the results were terrifying. What drives our Jewish Leadership today? The Land is Very, Very Good! Source links from here and here. Thanks -- Milestone 50K visitors. Just wanted to say thanks to all of you, and those of you that link to me...sometime on Friday my blog received its 50,000th visitor. As of tonight, motzei shabbat, the Muqata blog has had a total of 50,258 visitors and 84,508 page views since I started blogging last July. Prelude to the Most Amazing Thursday Night Ever. 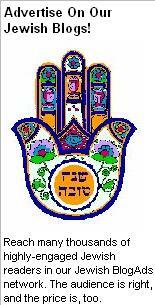 Shavua Tov -- A good week to you all. It's late but wanted to mention a few important items you'll be reading about this week. 1. The reason I will never eat 7 pizza slices (in a row) again without calling my wife first, is that when I arrived home after my meeting with my accountant on Thursday night, there were 3 IDF officers eating in our front yard. Apparently, my wife made a BBQ for them, and had I called in advance, I would have know that my wife was preparing this BBQ...and it would have tasted alot better than 7 slices of pizza. You never know when someone will be preparing a BBQ, so its best to call home before gorging yourself on pizza. (And Kol HaKavod to my wife -- the soldiers were totally in awe of her...as they should be). 2. More to come this week as I explain WHY I was meeting with my accountant. Be prepared for alot of important advice for ALL US olim on IRS tax filing. I wish it had to do with the one ad I got so far... but I'm still happy I met with my accountant. 3. I didn't diss the ad on my blog as some commenter wrote. Go ahead - see the movie! It's supposed to be funny. Let me know if it is - and we'll give it an even bigger and better review. 4. To the commenter that said I "sold out" by putting ads on this blog -- if they don't conflict with the message of this blog, AND it HELPS out Jews living in Israel (like me), then what the heck's the problem? Halevai that all olim in Israel could get some extra cash. Please explain why you think it's selling out. Good evening: Tonight there will be access to "Kivrei Tzadikim" in Timnat Chares from 00:00 to 04:00. The IDF rarely sends out this info more than a few hours in advance to prevent terrorists from planning an attack. By allowing access only in the middle of the night, it reduces friction between the Palestinians and Jews (since the locals are asleep). I'm off to bed, but I will say it was one of the most amazing tiyulim I can recall. Pictures and a full description coming soon. A quiet and peaceful week to us all. A few weeks back I was contacted by Steven Weiss about joining the Jewish Blogs ad network. I was flattered to be asked to join such a prestigious group of big name bloggers, including Canonist, Orthomom, DovBear, Serandez and others -- the whole idea had me tickled pink that someone would advertise on blogs, let alone mine! If you notice the "Hamsa" graphic on the right-hand side of my blog, you'll see what I'm talking about...and clicking through it will lead you to the list of blogs associated with the JBlog ad network. And then...yesterday...I was notified that someone wanted to place on ad on my blog! I danced around my office and immediately called the Mrs. @ The Muqata! I'd make vacation plans for all us at the Inbal Hotel in Jerusalem! This was great...financial self sufficiency for an oleh like me? A dream come true! Date: Today, a few minutes ago. Did you see what your ad is for?? Err, actually, not really. I just glanced at it -- it said something about a Jewish Comedy. Come see the insanity that ensues when a Jewish daughter brings home her new Palestinian boyfriend! Would you advertise for anything? How about for cigarettes? After criticizing religious newspapers for years for printing ads from cigarette companies, here I was, with an ad on "The Muqata" promoting...assimilation and intermarriage? A Jewish woman going out with a Palestinian?! I'm all in favor of coexistence, but intermarriage is OUT! I can't take down the ad because it's contractually supposed to run for 2 weeks. 1. I will only post ads for which I have read through their entire content. 2. I will post ads which do not conflict with my hashkafic outlook on life, conflict with halacha, or harm the interests of the Jewish People, Israel, or Aliya. 3. Under no circumstances will I ever again eat 7 slices of pizza on my way home from Ramat Beit Shemesh after meeting with my accountant, UNLESS I CALL MY WIFE FIRST. (more on that in the upcoming post). I sincerely apologize in advance if anyone is offended by the ad. In any event I hope that by the end of the movie, the Jewish woman breaks up with her Palestinian boyfriend, returns to the Derech, marries her true bashert, makes aliya, has healthy and happy kids, and starts a successful aliya advocacy blog. Then again, she could make aliya first and find her bashert here in Israel -- the order doesn't really matter. How the Torah was really passed down. Cool Creatures Discovered in Underground Cave!